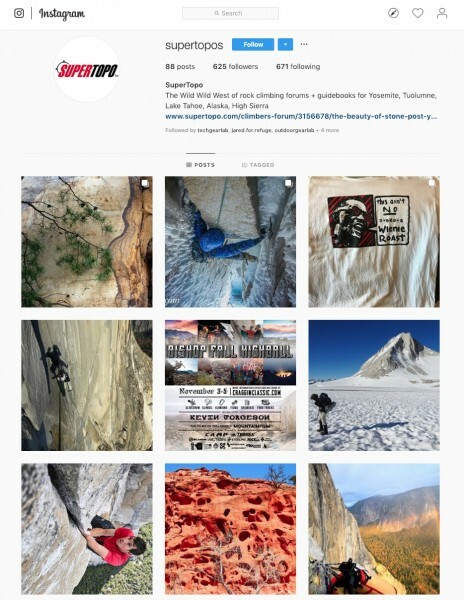 SuperTopo is on Instagram - What should we post? A picture of your food- what else? After a 2 year delay, we are back! Post my photos with a link to my Trip Reports! Oh yeah....post pictures of Limpingcrab with poison oak. That's another good option too. Post intriguing photos like that one with the flame thrower. And more inline wheelchairs. Ones that go in the dirt. How about animals? Who besides that DF troll that strangles kittens doesn't like animals? Some great shots in that wildlife thread. I don't use it but thought instagram was about pictures. 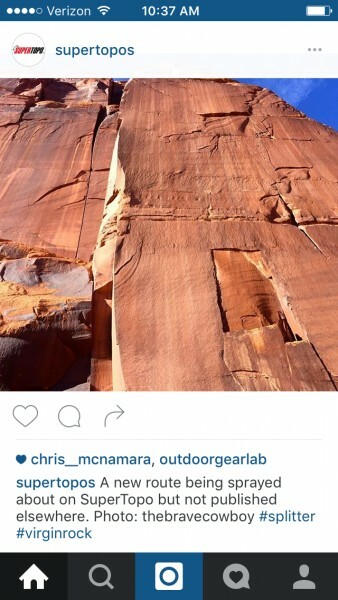 So post the best pics from trip reports with links to the reports. 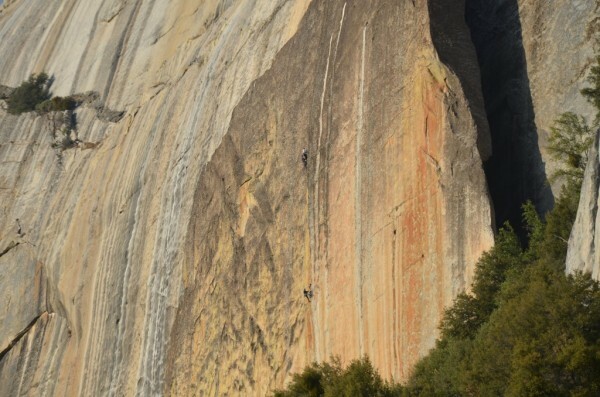 Or post pics of old people on this forum and have a contest to see who can ID the famous climbers lol. great suggestions, keep em coming! 1. 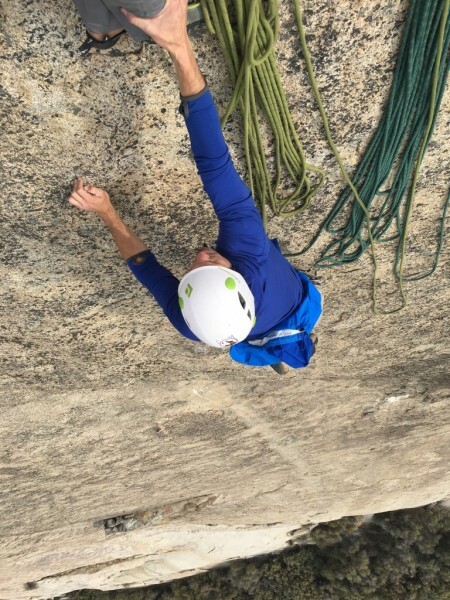 Any photos from Regan (Yeti) on his savage bigwall winter suffer fests. I believe "Superbalance" was one of his TRs. 2. "Slander of the day quotes" from the religion, political or WOS threads. 3. Screenshots of old historical articles by Steve Grossman. 5. Old Jeff Lowe photos. I just had an epiphany Chris. Take one of your free topos and paste a link to it that allows users to blow it up and print it. Just a thought. 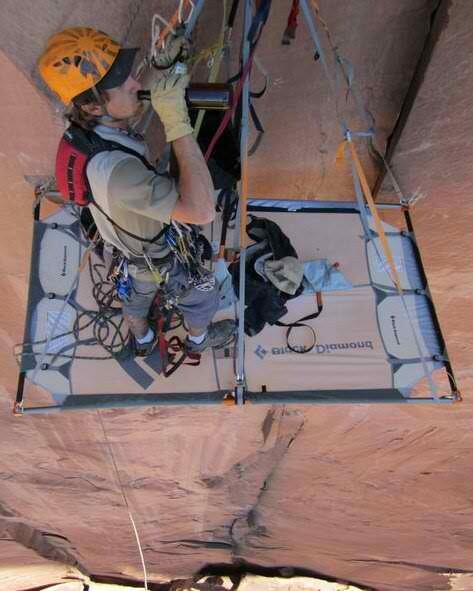 Or even dangle some bait and do this for topos that are popular but not free. Give a couple away and you'll create quick followers looking for their next junkie fix!